At MM.LaFleur, we believe that when women succeed at work, the world is a better place. We design beautiful, office-appropriate clothing that keeps the spotlight on you, and we host intimate events for the remarkable women in our community. 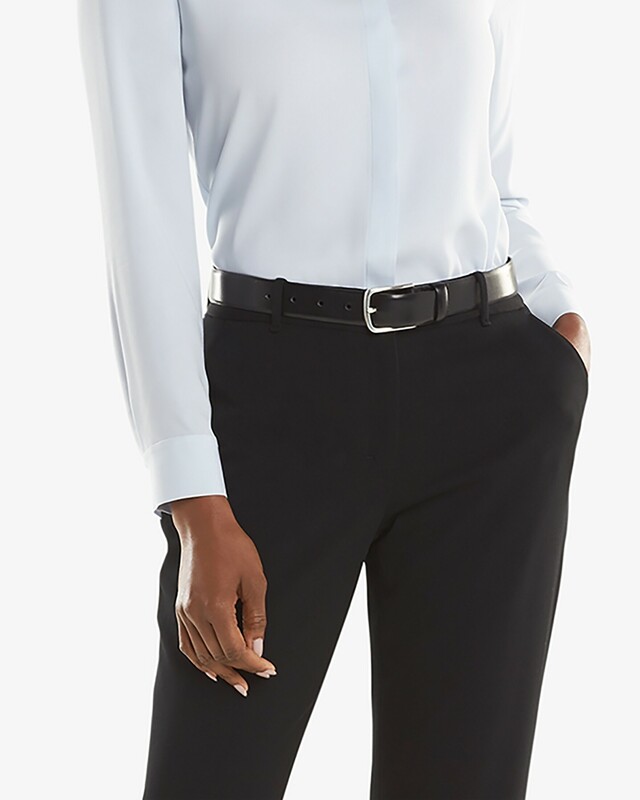 A good pair of office-appropriate pants is hard to find (that’s why we created our pants capsule, featuring nine silhouettes that work for different heights, body types, and personal styles). Once you do find something that works, sticking to the same silhouette or cut — that is, the one that seems to flatter you and your body type best — makes the rest of dressing for the workday a snap. But what if you haven’t found that ideal pant just yet? Here’s what to look for when trying on a new pair. For MM.LaFleur stylist Nyjerah Cunningham, finding the right length comes down to two things. “It depends both on the height of the customer and their style personality,” she says. 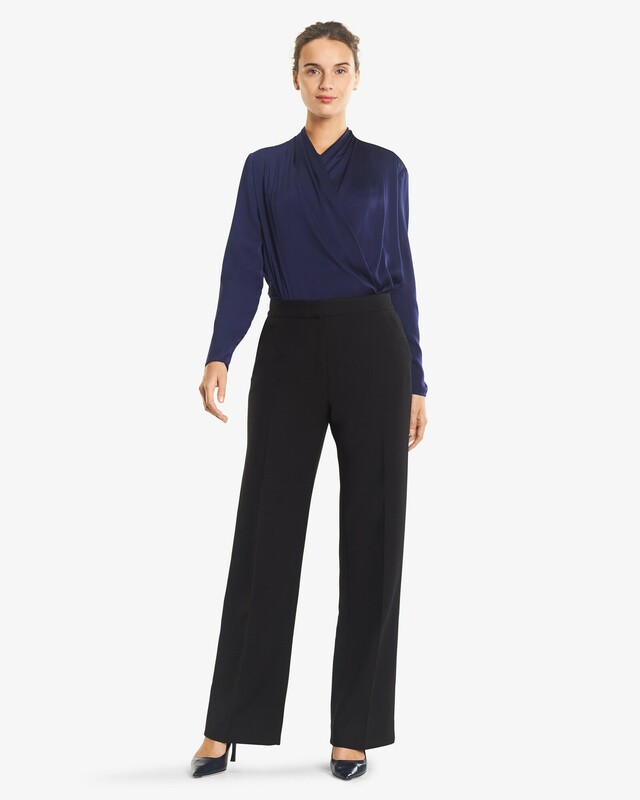 Some people may feel most comfortable in a slim ankle-length pant, while others may prefer long, wide-leg trousers. With so many different pant styles these days, there’s no one right “length,” so don’t feel the need to hem every pair you own to the same measure. Of course, if the hem is dragging on the floor even when you’re wearing your go-to heels, it’s time to see a tailor. But the right length for your body type should be mostly determined by what makes you feel comfortable—and what looks right to you. One spot that often needs to be tailored on pants is the waist. “How the pants fit your waist and your hips is so important,” says Cunningham. “When you see any gapping in the back, that’s an indication that it needs to be tailored.” And while your pants may seem to fit perfectly when you’re standing up, they may not feel as good when you’re seated if the waist fit isn’t just right. An easy test: Put on a belt and fasten it to a secure but comfortable position. If there’s any bunching, then you’ve got extra fabric that needs to be taken in. “Many customers are hesitant about wearing wide-leg pants because they worry the volume will look loose and overwhelming,” says Cunningham, but there are plenty of styling workarounds. If you love the idea of relaxed-fitting trousers, pair them with a fitted top to balance the fullness below, especially if you’re petite. It keeps the silhouette from feeling baggy, and makes for fun proportion play. Your pants—and their hemline—may not work with all shoe styles, and that’s okay. Certain trouser types call for certain shoes. 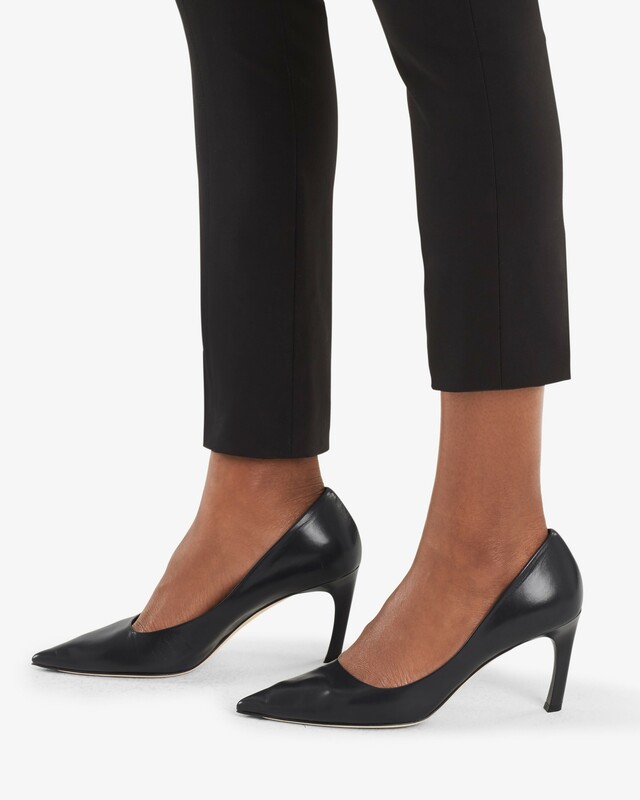 “When you wear a long, wide-leg pant, you should wear a pointy shoe,” says Cunningham, noting that the toe should be visible, lengthening the leg. For ankle-length pants, she recommends mules or loafers, as she likes to have a bit of bare skin showing (after all, that’s kind of the point of ankle pants). And for culottes? The sky’s the limit. You can even dress them down with sneakers, though Cunningham recommends pairing them with booties at work. Have you heard? We’ve designed a pair of pants for every body—and you can order a curated Bento to find your perfect fit. To get started, click here.